2 American Son, Washington D.C. 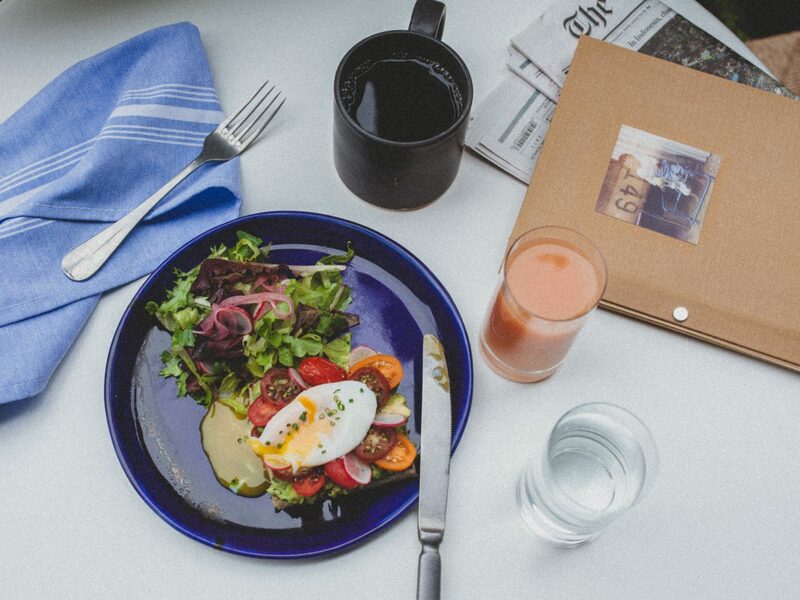 If you—like us—travel for the eats, you’re gonna want to start planning some culinary-fueled trips for this year. 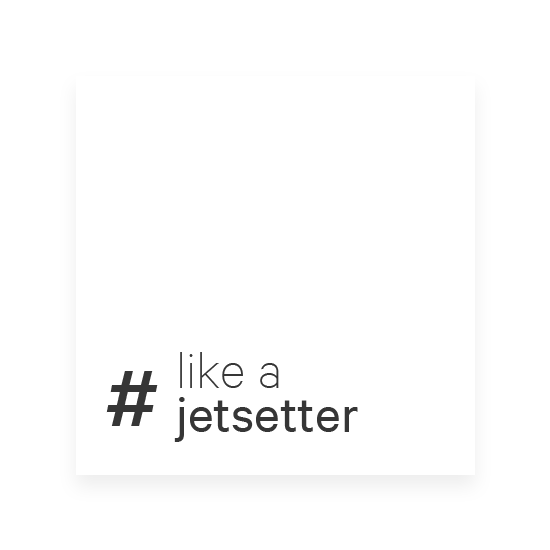 Whether you favor nostalgic gastropubs or have your heart set on the world’s highest ranked tables, there’s a place on this list for you on our #LikeAJetsetter list. 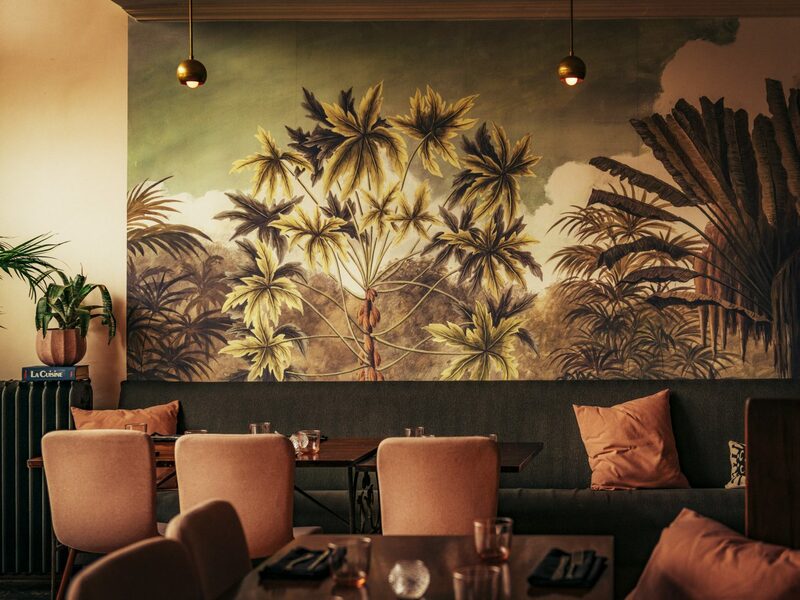 From Los Angeles to London, we rounded up the hottest restaurants to book in 2019. One of the hardest tables to book in New York right now, Misi opened in September and has been packed every night since. 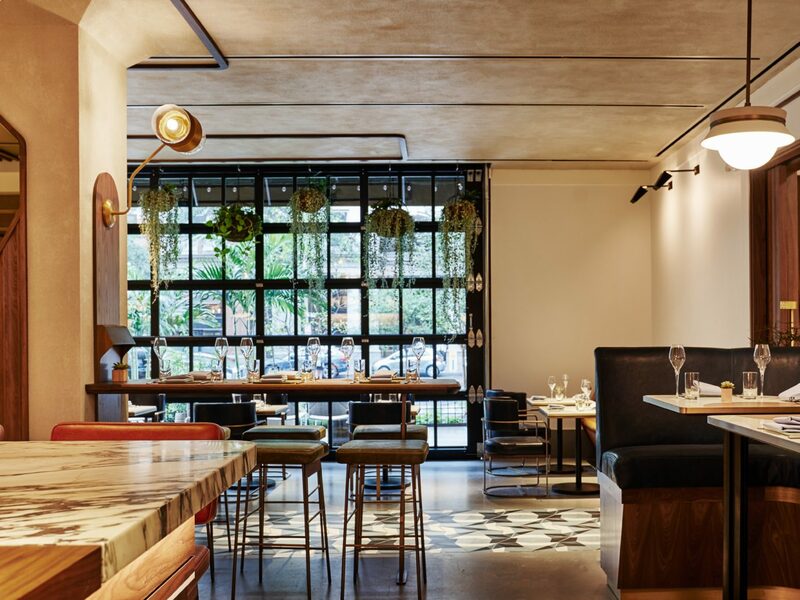 Acclaimed chef Missy Robbins came up the ranks at Spiaggia in Chicago—one of Obama’s favorite restaurants—and A Voce before opening her first restaurant, Lilia, in Williamsburg. 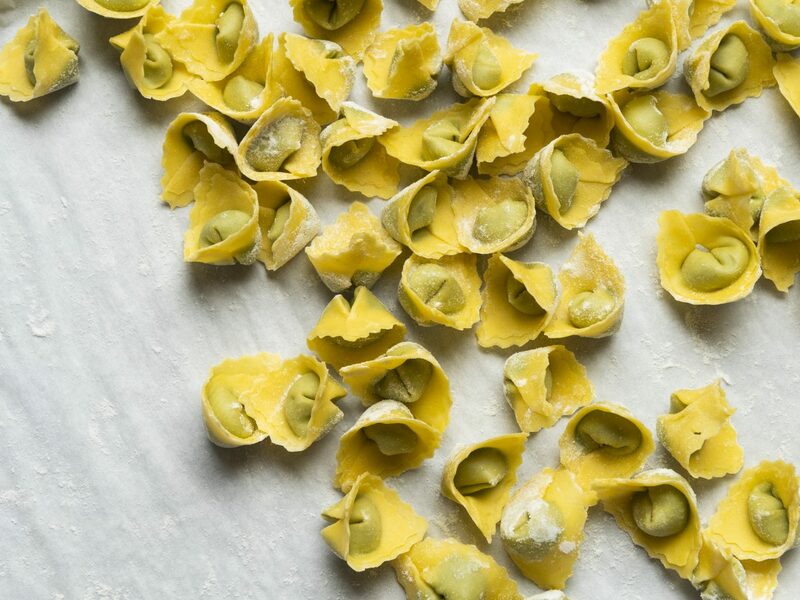 At Misi, she has focused in even more on her mouthwatering pasta, making unusual shapes and sauces like a savory fennel pesto. 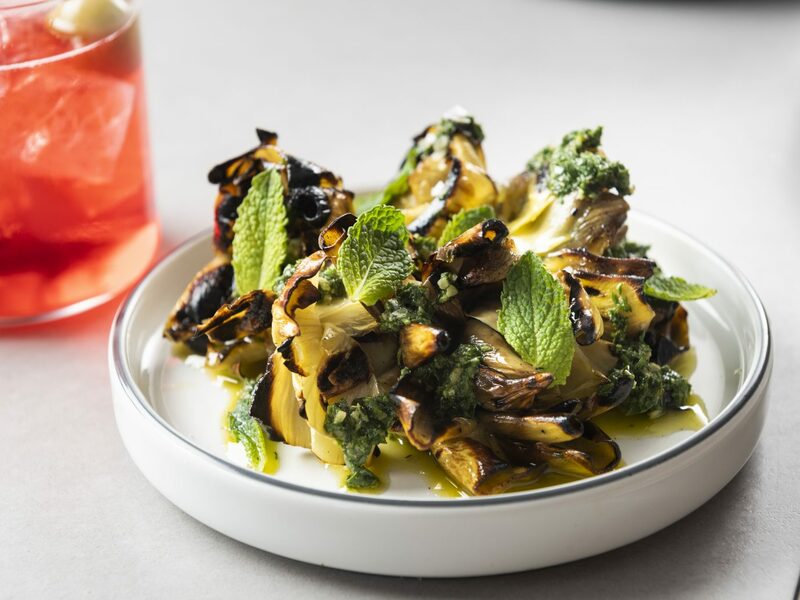 Start with the charred peppers that come paired with whipped ricotta crostini and don’t miss the sheep’s milk ricotta occhi topped with lemon and bottarga. 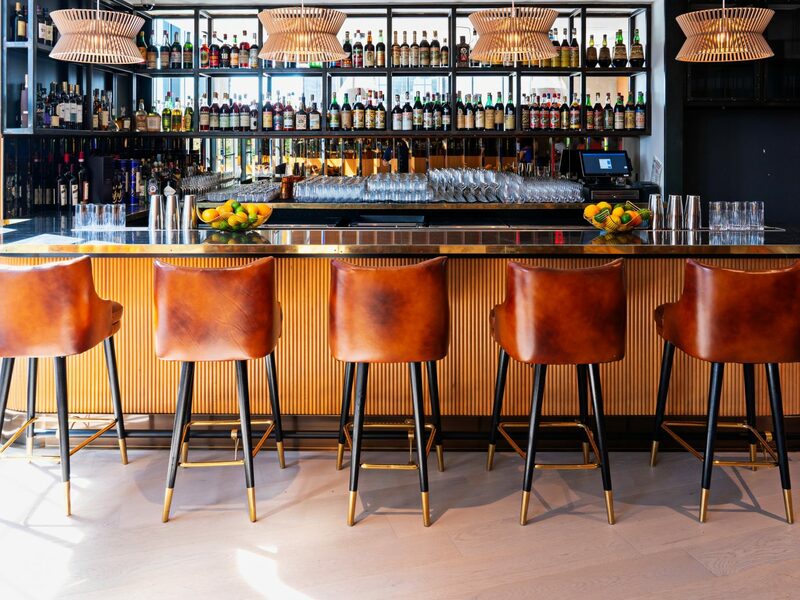 At American Son in the Eaton Hotel, Chef Tim Ma playfully mashes up Asian and American flavors to create surprising new dishes inspired by his Asian-American heritage. 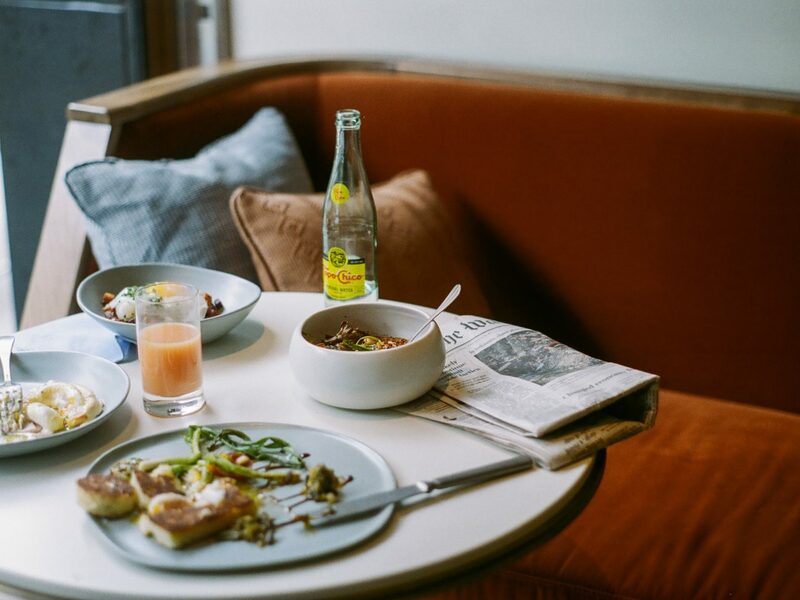 Fittingly for a hotel with a strong focus on wellness, the menu has a veggie-forward bent, but that doesn’t preclude a bit of indulgence. 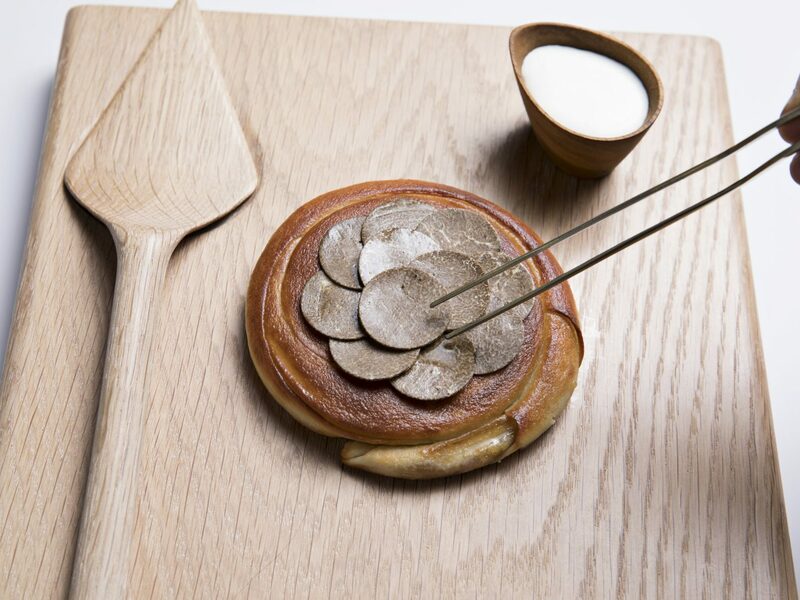 Take, for example, the sublime tofu gnocchi in a rich sauce made with butter and white miso topped with sunchokes and black truffle. Don’t miss the Korean-inspired spaghetti squash ssam, which comes with butter lettuce wraps and a selection of toppings that includes peanut sauce and everything bagel spice. Tucked away behind Bazaar inside the SLS Hotel, a Luxury Collection Hotel, Beverly Hills, Somni accommodates just ten diners at a time (with two seatings per night), who sit around a horseshoe-shaped counter watching the chefs prepare their meal and present the complex dishes that make up the new restaurant’s 20 course tasting menu. 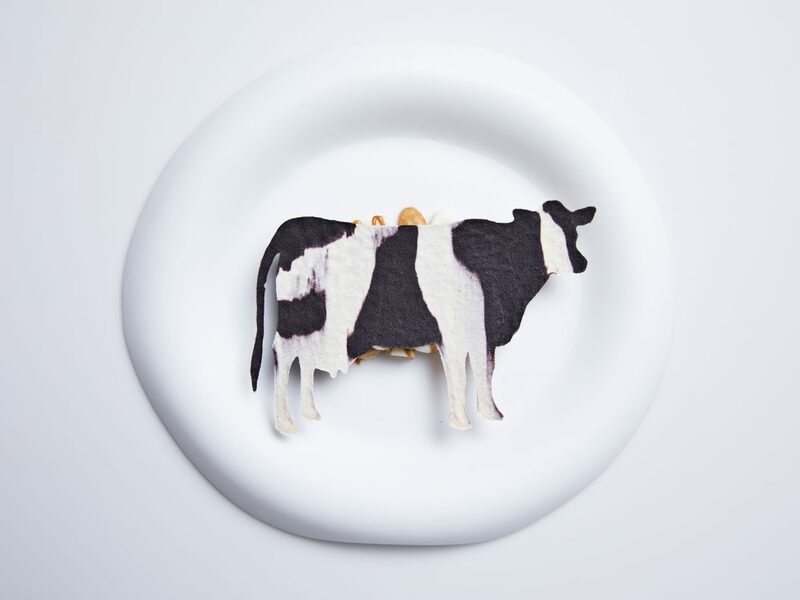 Chef and restaurateur José Andrés tapped Aitor Zabala—who cut his teeth at elBulli—to helm the ambitious new restaurant, which serves modernist cuisine with Spanish and global influences. 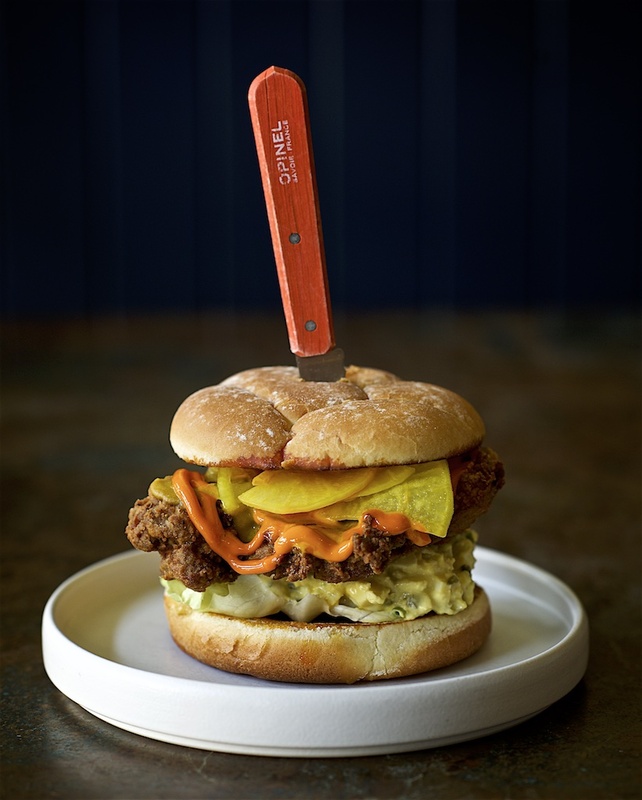 A beloved pop-up that operated out of various kitchens in San Francisco over the course of three years, FOB Kitchen opened a brick-and-mortar restaurant this fall and it’s already an instant hit. 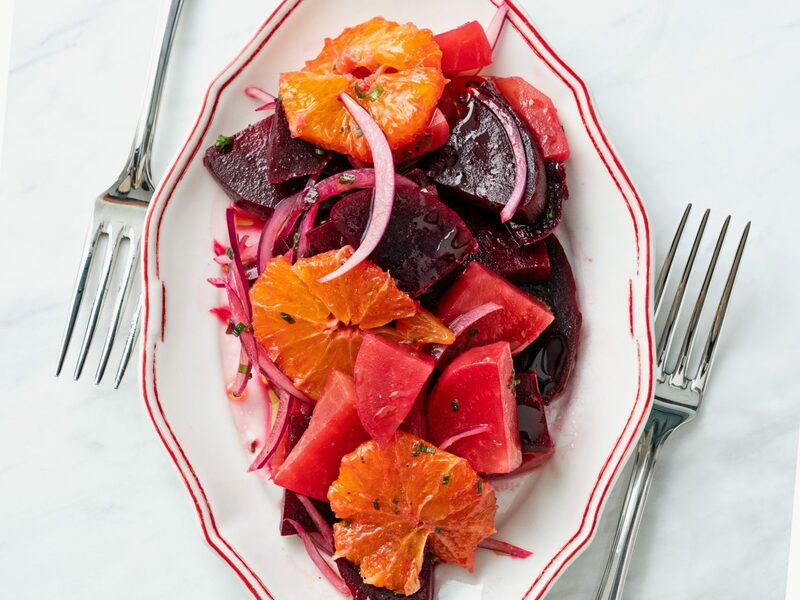 Though chef Janice Dulce has no formal culinary training, her Filippino dishes are full of heart, soul, and plenty of flavor. She and her wife, Brandi Dulce, who runs the front of house and business operations, traveled around the Philippines together for a month before launching the pop-up, exploring the country’s rice terraces, markets, and getting some cooking lessons from Janice’s grandmother. 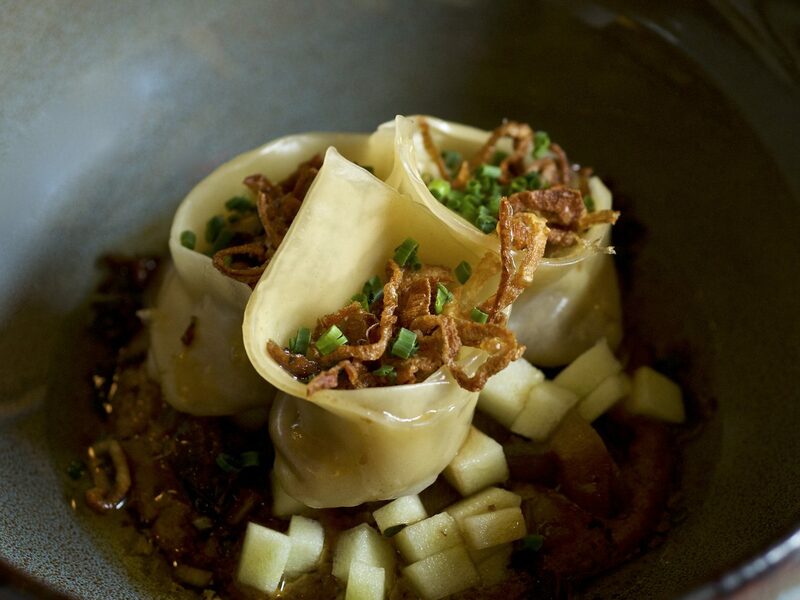 Menu highlights include lumpia and a vegetarian adobo made with tofu and mushrooms. 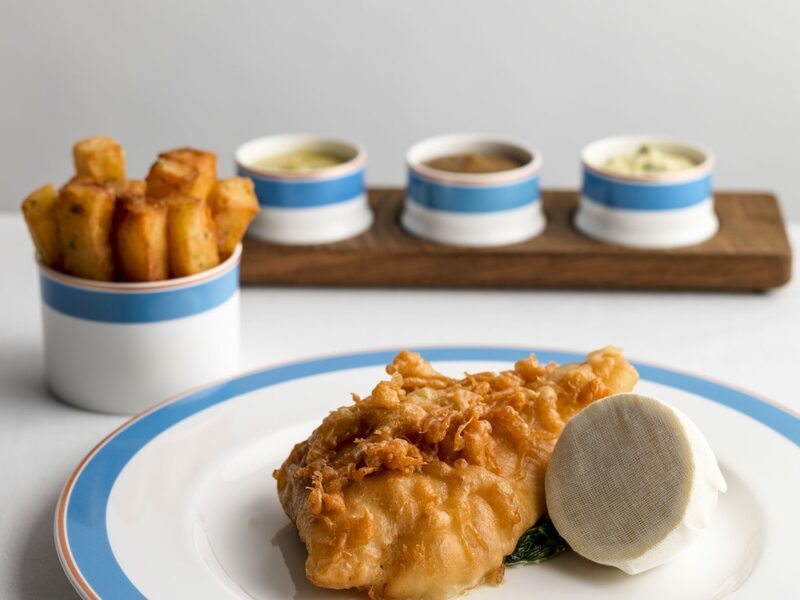 TV personality and Michelin-starred chef Tom Kerridge’s first London restaurant has earned rave reviews for his superlative versions of English pub fare. 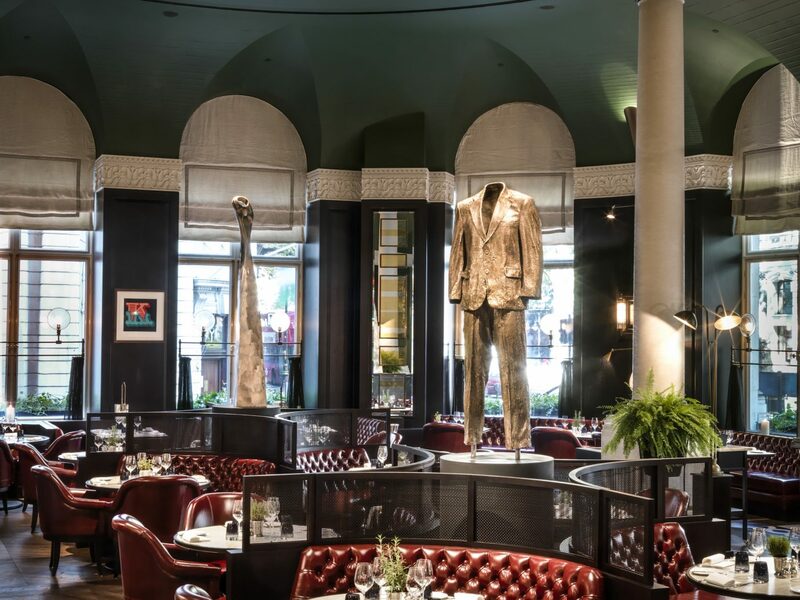 The Standard called it “an unmistakable blockbuster” and The Guardian lauded its “once-in-a-lifetime chips.” The new restaurant inside the luxurious Corinthia Hotel London resembles an upscale pub, with maroon leather banquettes, eye-catching art, and a fancy rotisserie cooker. 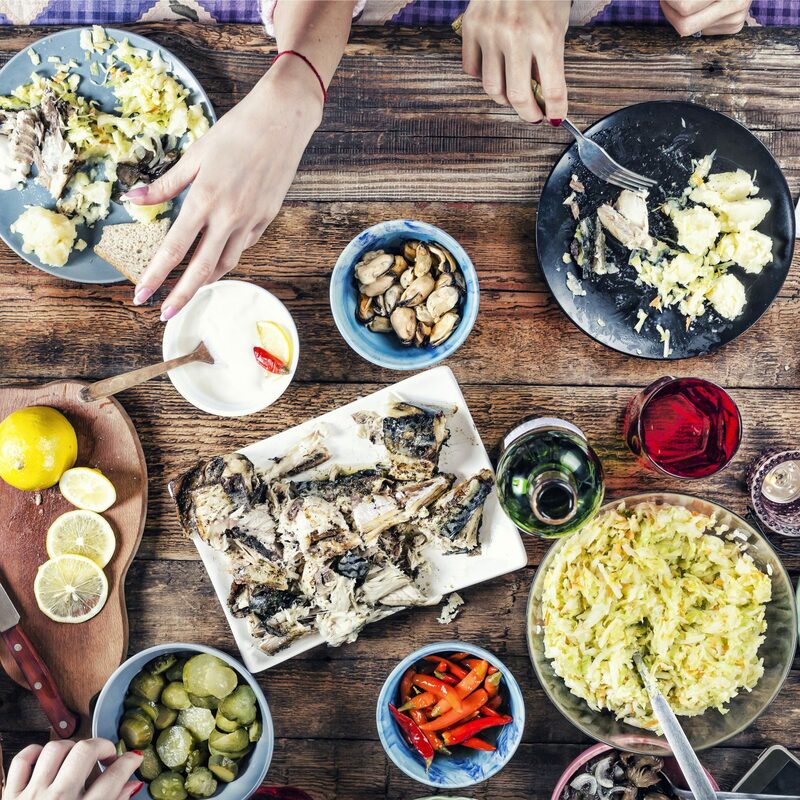 Don’t miss the mushroom risotto and fish and chips. 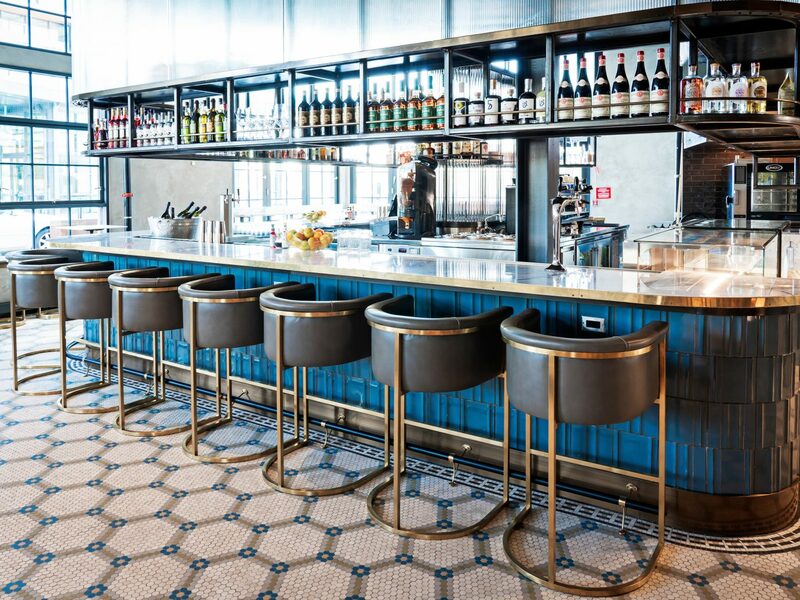 Opened this fall, this three-story ode to Italian cuisine quickly became a hotspot at the Wharf, D.C.’s new $2 billion sustainable neighborhood. 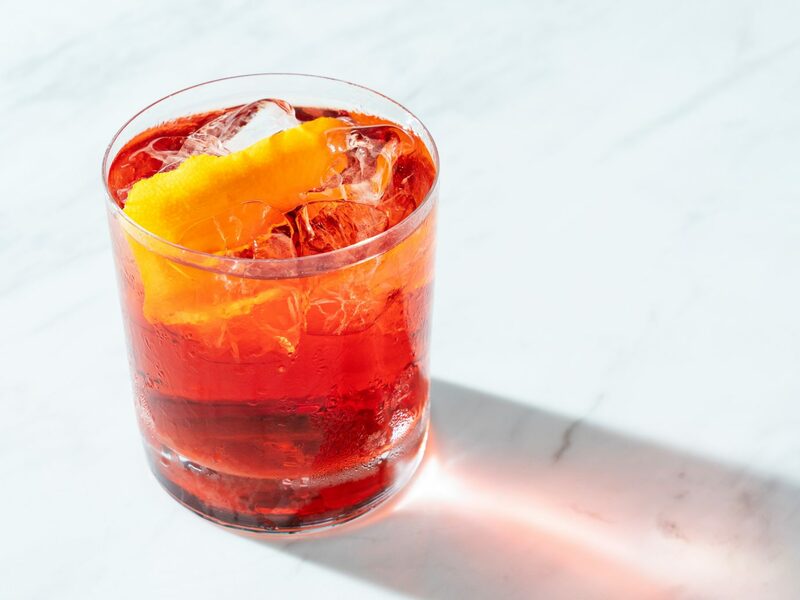 Chef Nicholas Stefanelli—who runs Michelin-starred restaurant Masseria—is behind Officina, which houses a ground-floor shop selling specialties imported from Italy, a bar focused on amaros, a second-floor trattoria, and a rooftop terrace. 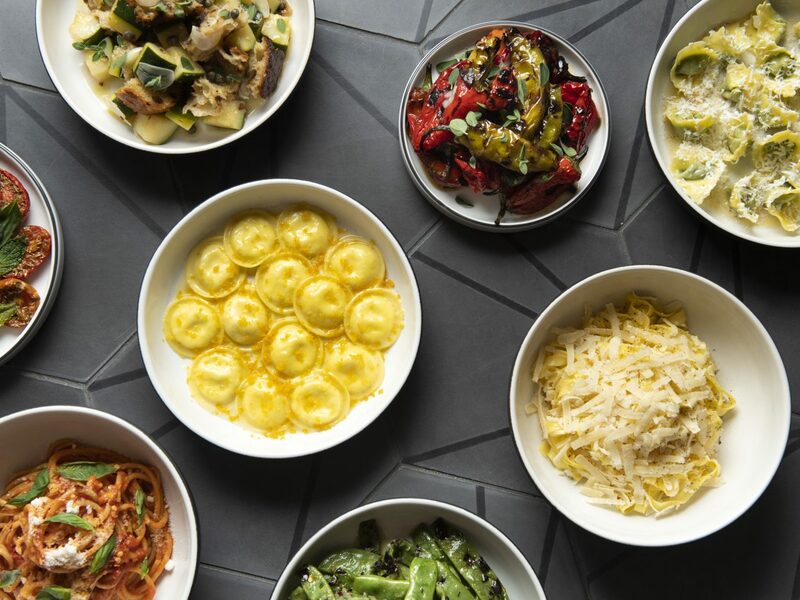 Stefanelli’s aim isn’t to reinvent the wheel but to serve the best versions of Italian dishes made using the freshest, most high-quality ingredients, like creamy burrata imported from Puglia. Don’t miss the tortellini stuffed with fall squash that comes in a brown butter and sage sauce topped with amaretti crumbles. 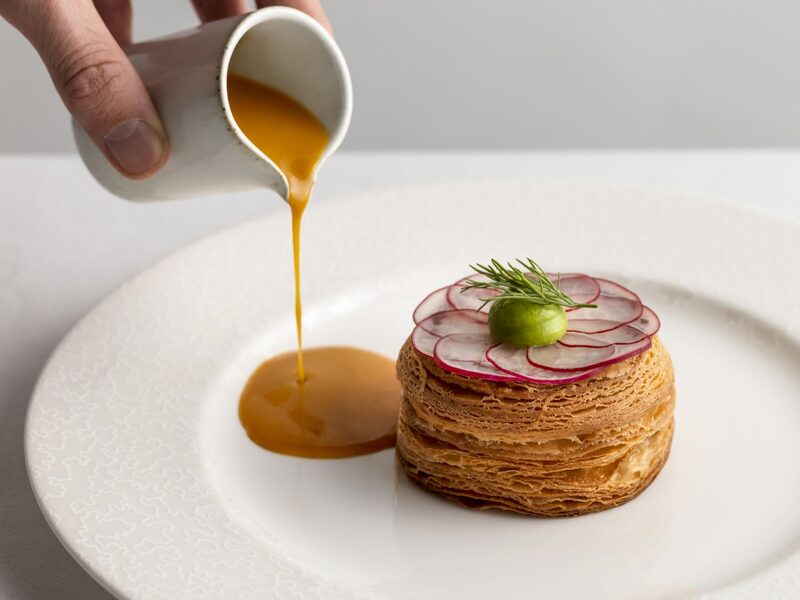 Born as a seasonal pop-up in the Hamptons as a way to keep Eleven Madison Park’s staff employed while the restaurant was closed for renovations, EMP Summer House was such a hit that it returned for a second year last summer. 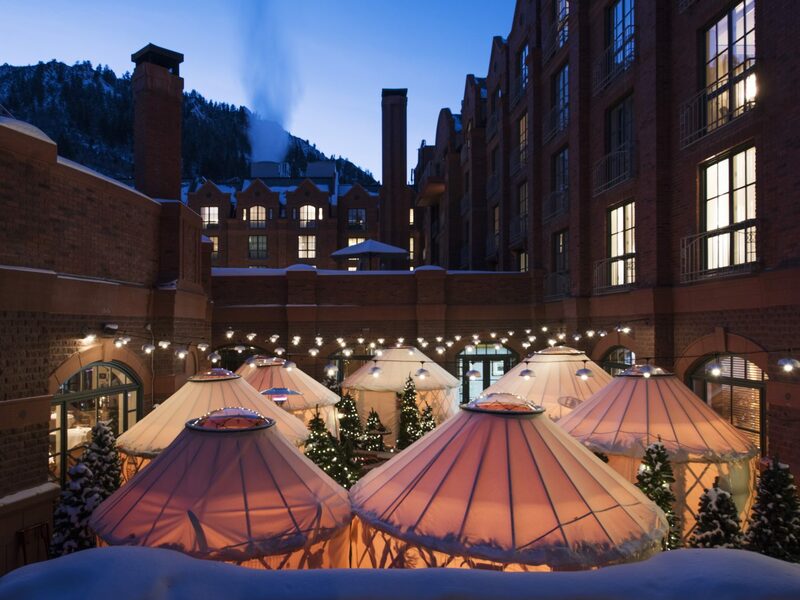 And now, Daniel Humm and Will Guidara—the masterminds behind the concept—have brought a wintry version to the St. Regis Aspen in partnership with American Express. 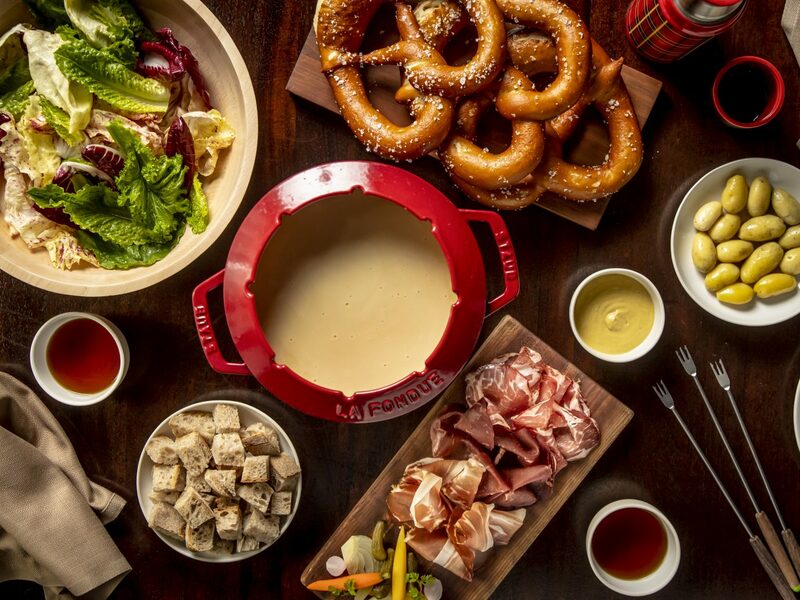 Inspired by his childhood in Switzerland, Chef Humm is serving comfort food like pretzels, charcuterie, and a decadent fondue, which you can choose to eat in yurts. 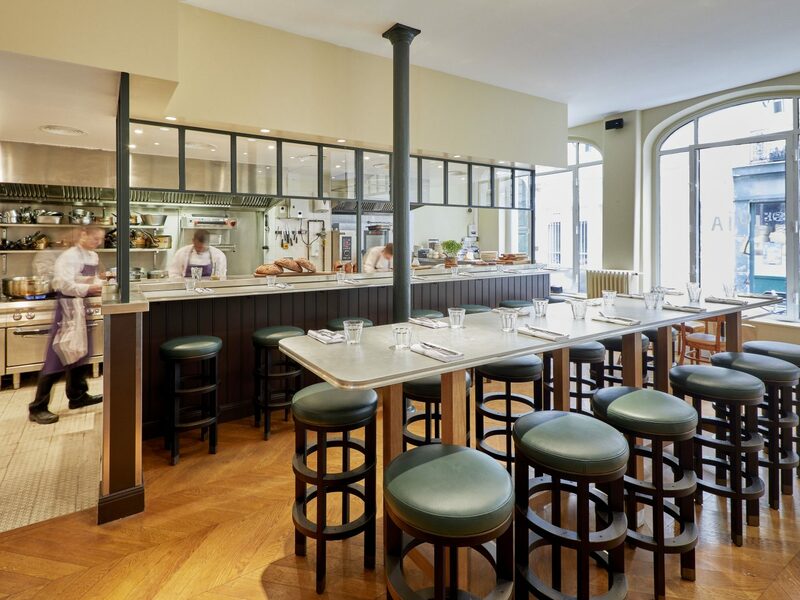 The second wave of reservations just opened, so hurry up and book a table now. The pop-up will only be operating until April 6, but if you can’t make it, plan ahead for the return of EMP Summer House. 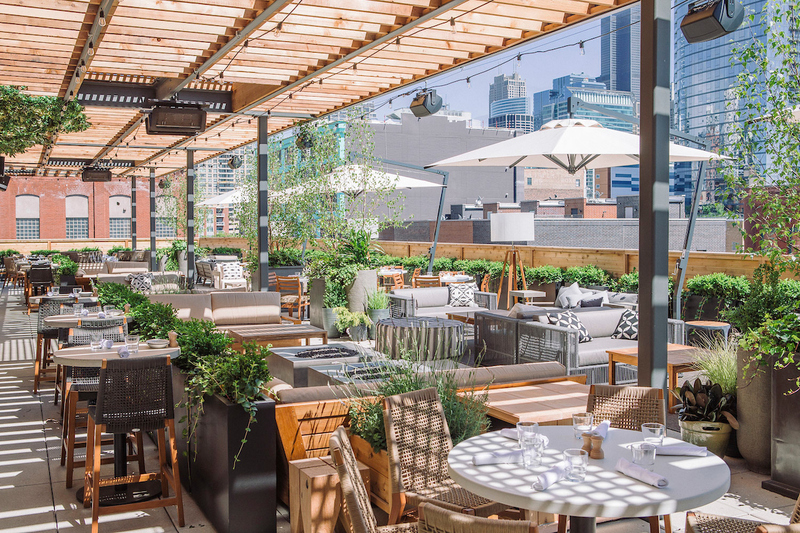 This modern Israeli restaurant by Lettuce Entertain You (Chicago’s largest restaurant group) opened in the emerging Fulton Market district last summer and as soon as the weather warms up again, you can bet that its open-air terrace will be packed. 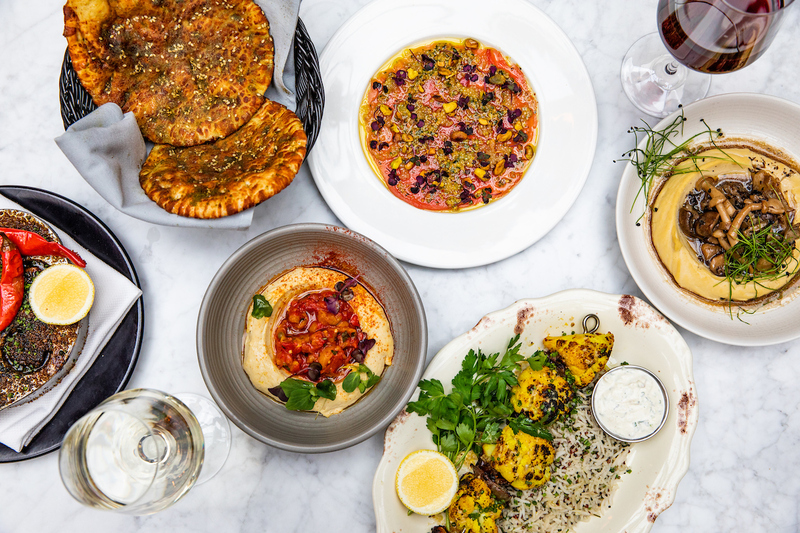 Chef CJ Jacobsen, who runs Ema (which translates to mother in Hebrew) turns out an extensive selection of mezze (there are six hummus variations alone) meant for sharing at Aba (which means father). 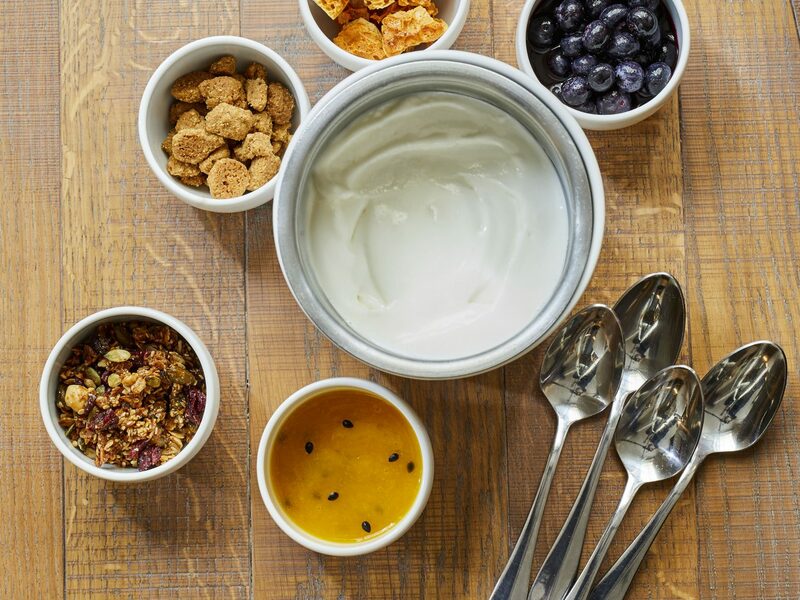 You really can’t go wrong, but whatever you do, be sure to leave room for dessert. The kulfi is an addictive combination of sweet coriander caramel and marcona almonds. 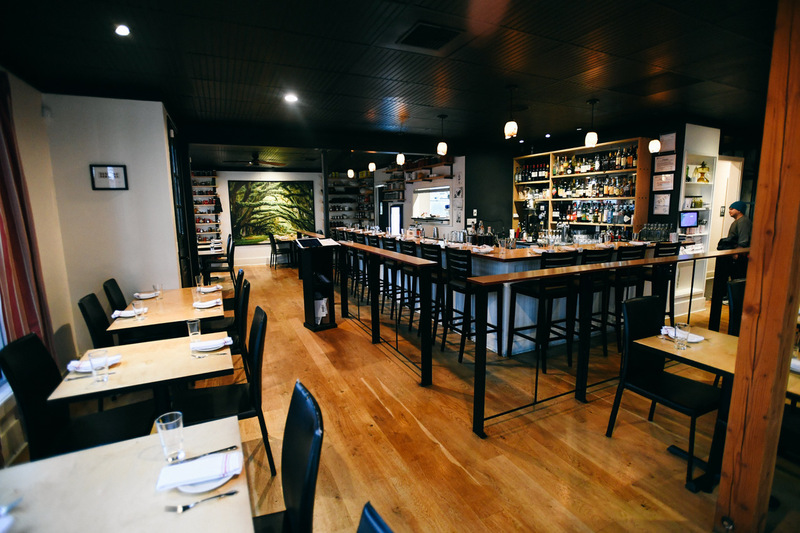 Named Portland’s 2018 Restaurant of the Year by Eater and the Oregonian, Canard is the third restaurant by James Beard Award-winning chef Gabriel Rucker. 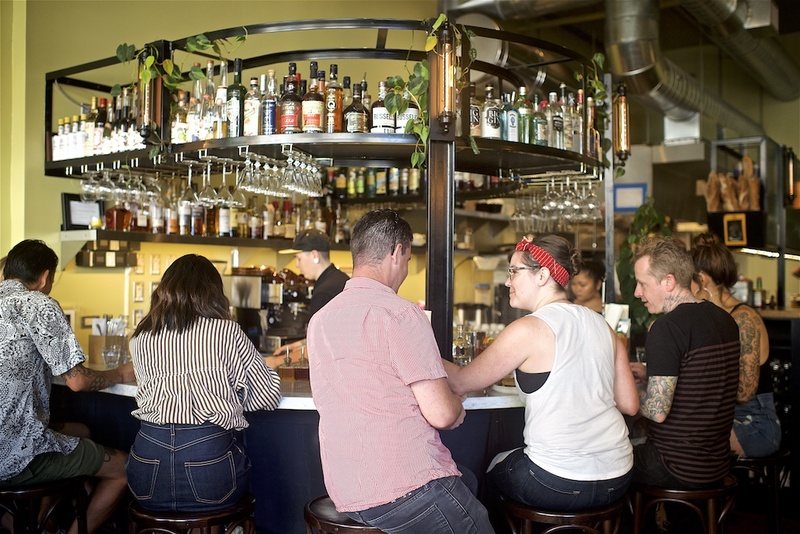 With this new spot on East Burnside Street, Rucker takes classic bistro fare and kicks it up about ten notches. Take the duck stack for example—inspired by chicken and biscuits, it’s a pile of buttermilk pancakes smothered in duck sausage gravy and topped with a fried duck egg and seared foie gras. 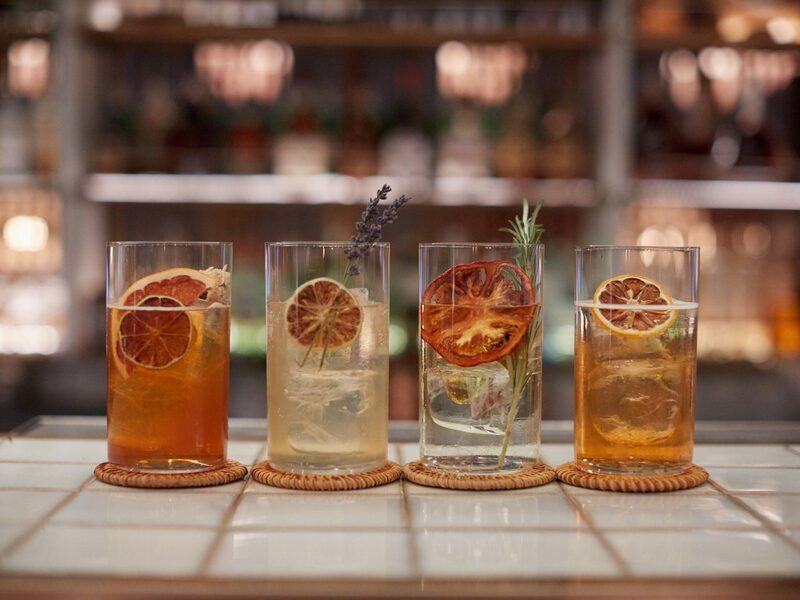 We think it’s the new definition of decadence. 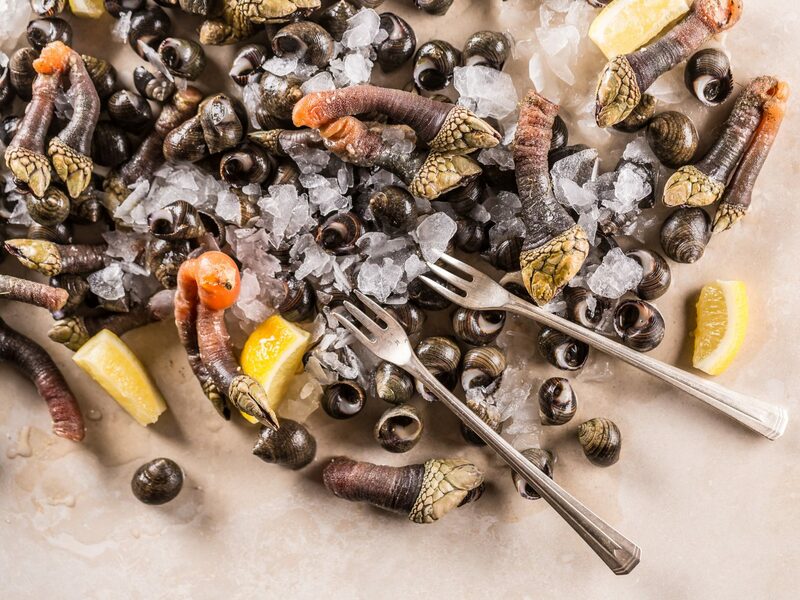 This delicious dive into Icelandic cuisine is just one more reason why you should plan a trip to this increasingly popular destination. 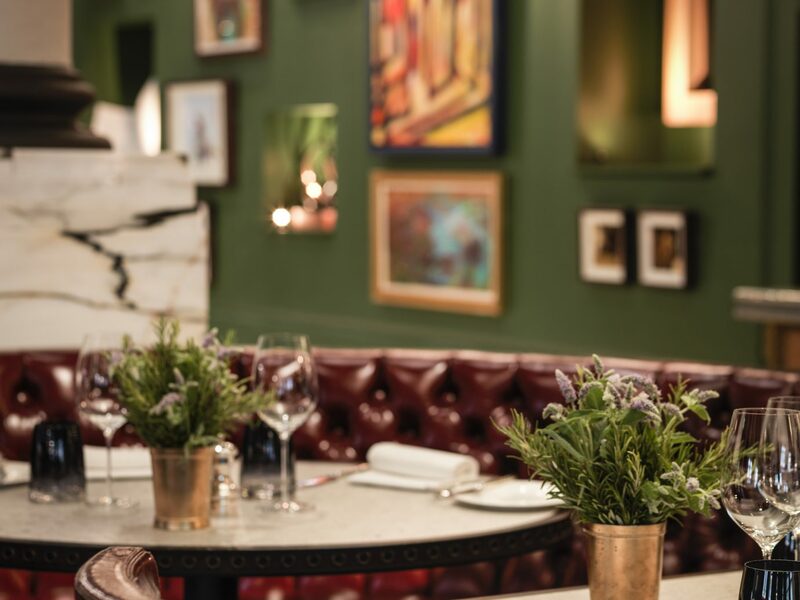 Housed in the luxurious new Retreat at the Blue Lagoon, Moss’s five or seven course tasting menu will delight you every step of the way, from your first taste of whipped Icelandic butter to the final bites of dessert. 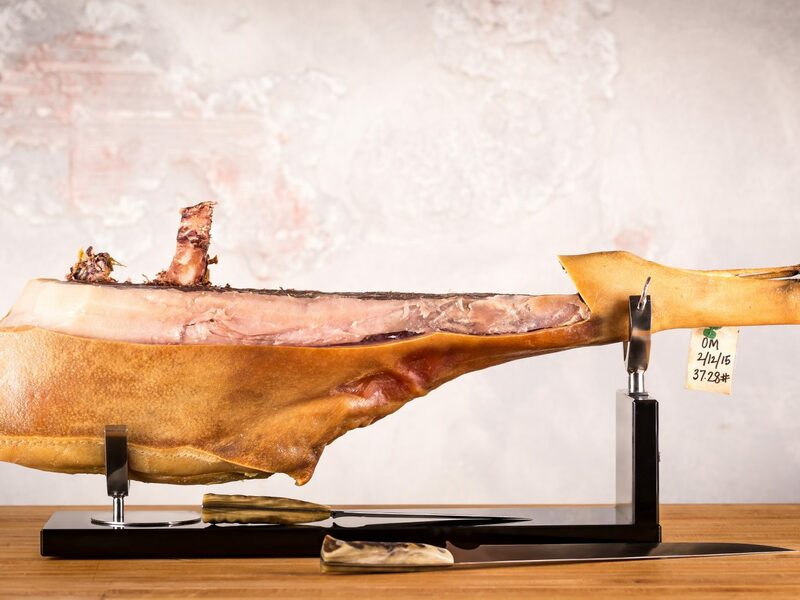 Pull up a stool at the chef’s counter—carved from lava rock found onsite—and enjoy. 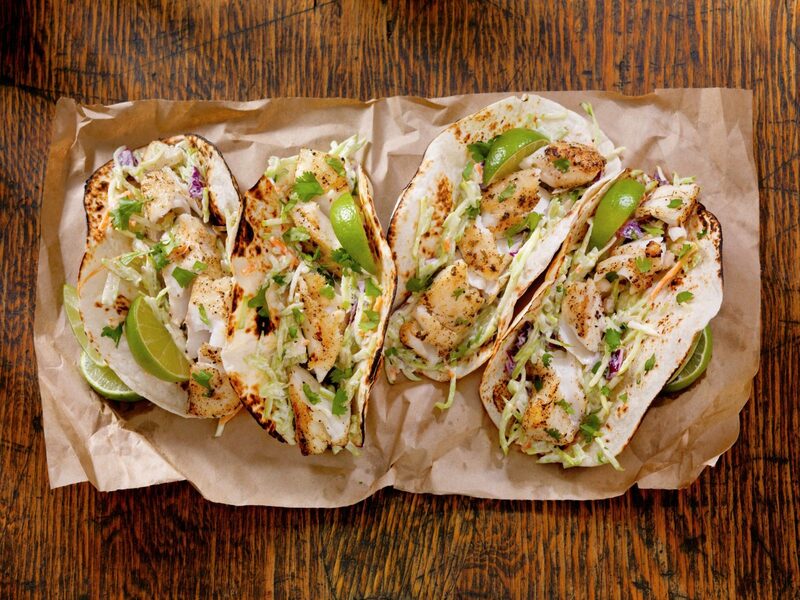 Is it possible to improve on a restaurant that’s damn near perfect? 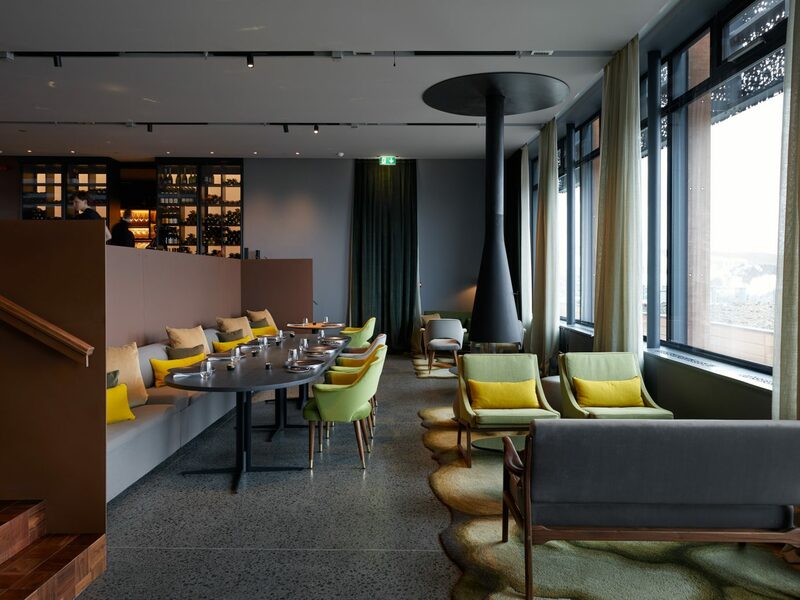 René Redzepi proved that it is when he reopened Noma last February in a new space—complete with an urban farm—designed by Danish starchitect Bjarke Ingels. 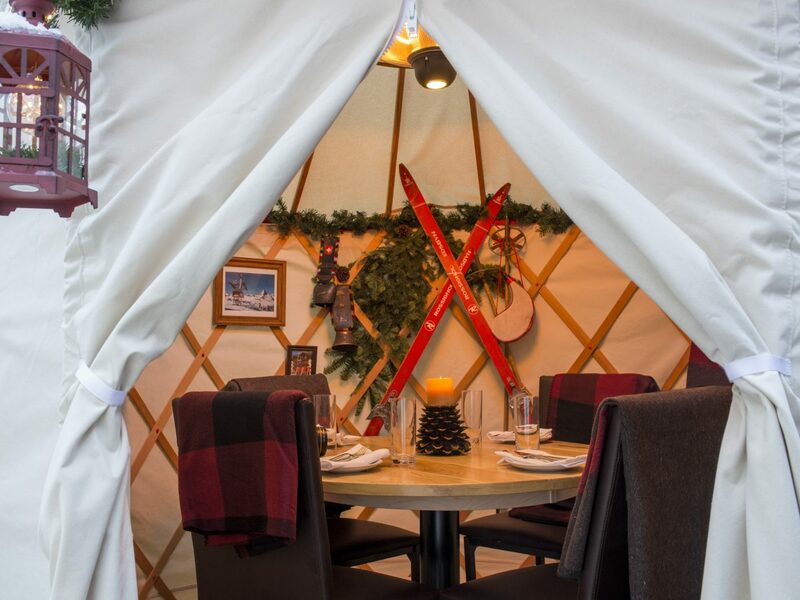 This time around, the menu will change radically to reflect three seasons: seafood in winter, when it’s freshest; vegetables in summer and early fall; and game and forest from fall until January. If you manage to score a reservation, buy your plane tickets after and plan the rest accordingly. 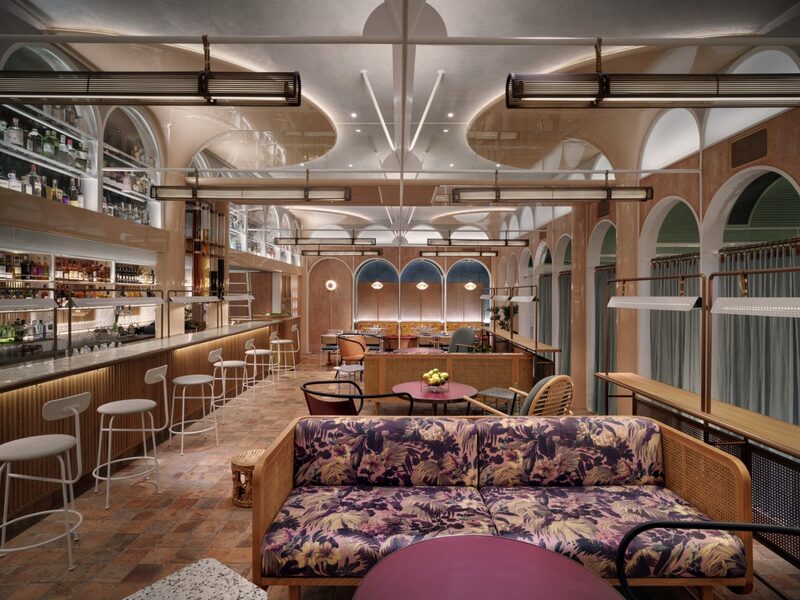 The name of this new restaurant by Michelin-starred chef Hélène Darroze translates to ‘joy’ in a dialect of southwestern France, where she grew up, and a meal here is bound to be a joyous occasion. 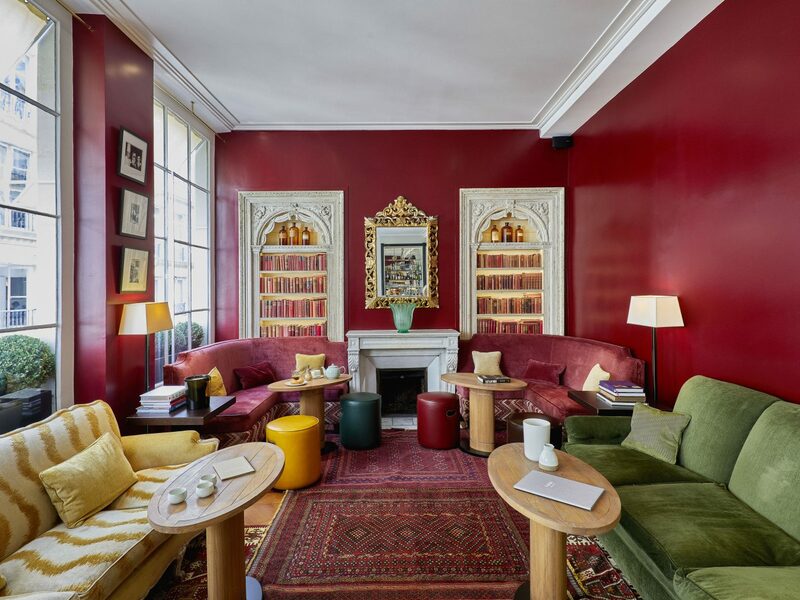 The chic two-story restaurant in Paris’s second arrondissement serves food inspired by southwestern France with some international additions, like a deconstructed guacamole and a matcha mille-crêpe cake. 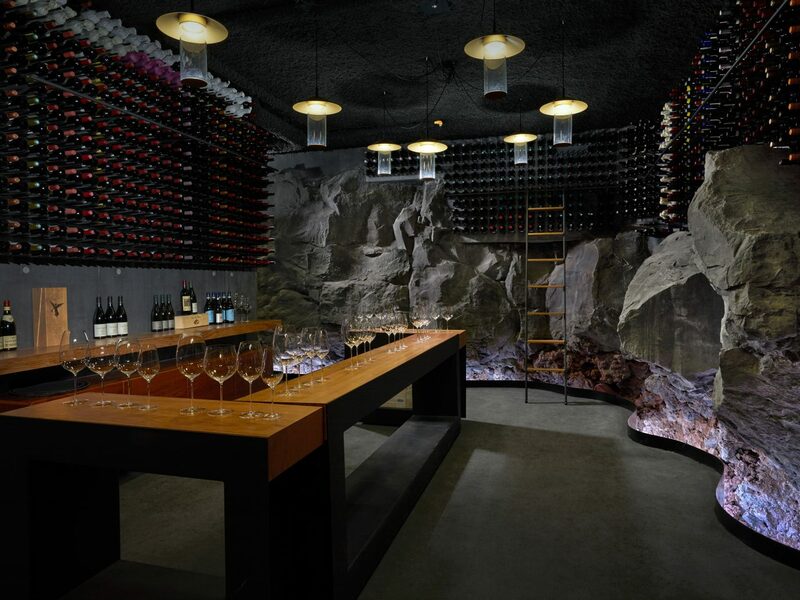 The wine list highlights female vintners from around the world. 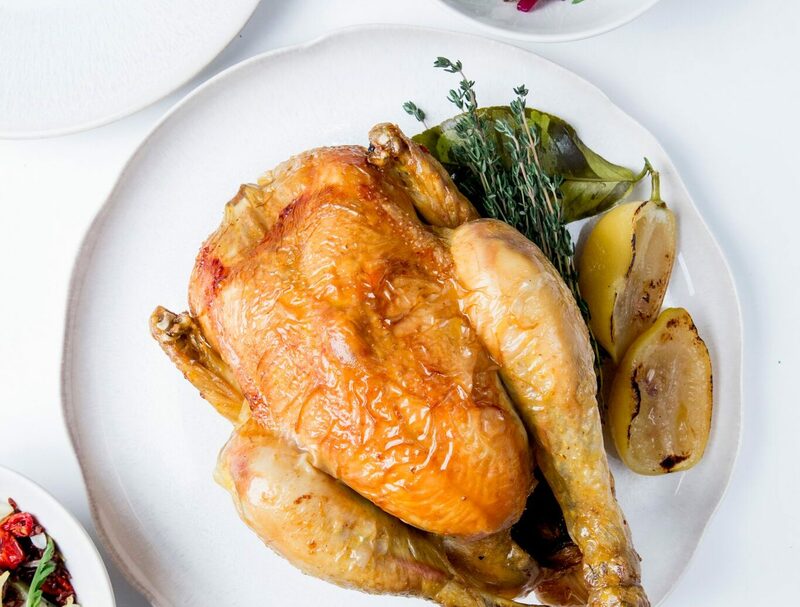 The huge Baker Boy oven may date back to 1952, but this Minneapolis restaurant definitely feels fresh and new thanks to an overhaul by chef Jamie Malone. 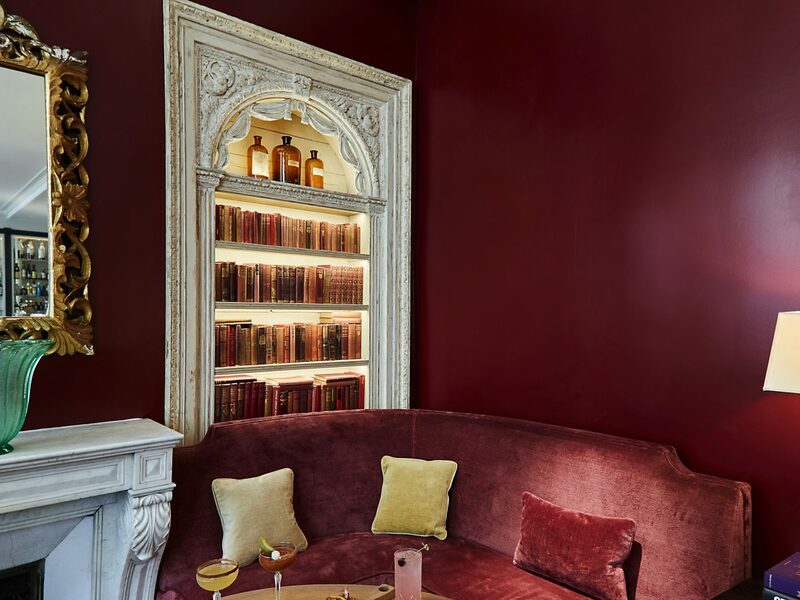 When she got her hands on the space, she set about transforming it into the French-inspired bistro of her dreams, with mouthwatering dishes like a savory interpretation of the classic Paris-Brest dessert filled with chicken-liver mousse and a modern interpretation of Lyonnais pike quenelles with scallops and roasted garlic purée. 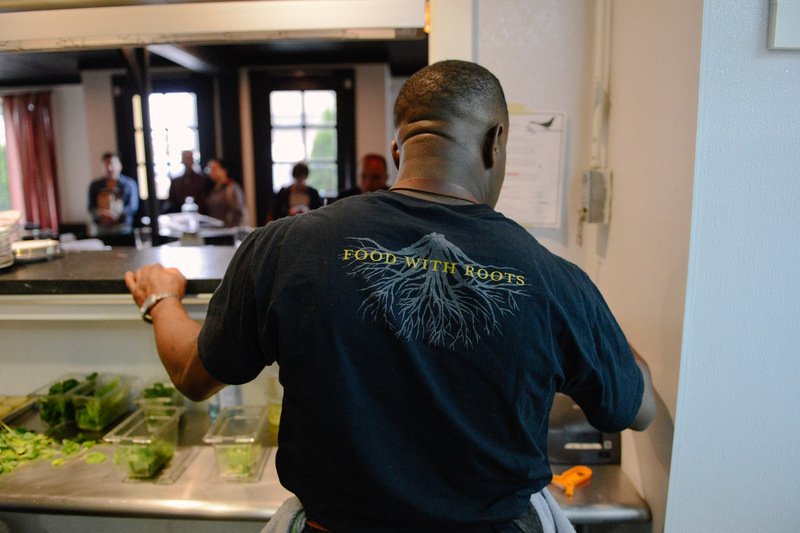 Chef Eduardo Jordan of JuneBaby has a mission: to honor the roots of Southern cooking. 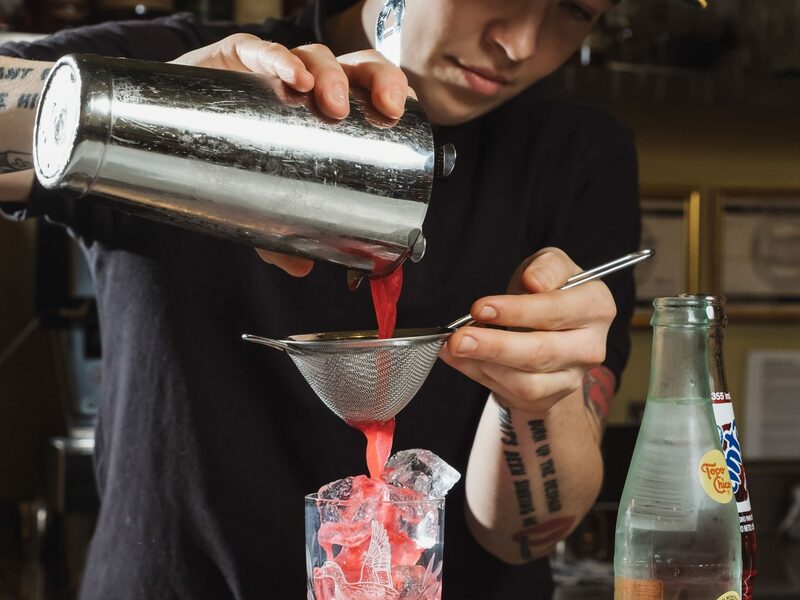 And while it may seem odd to find a southern restaurant in Seattle, you can trust Jordan’s pedigree—he hails from Florida and grew up in Georgia. 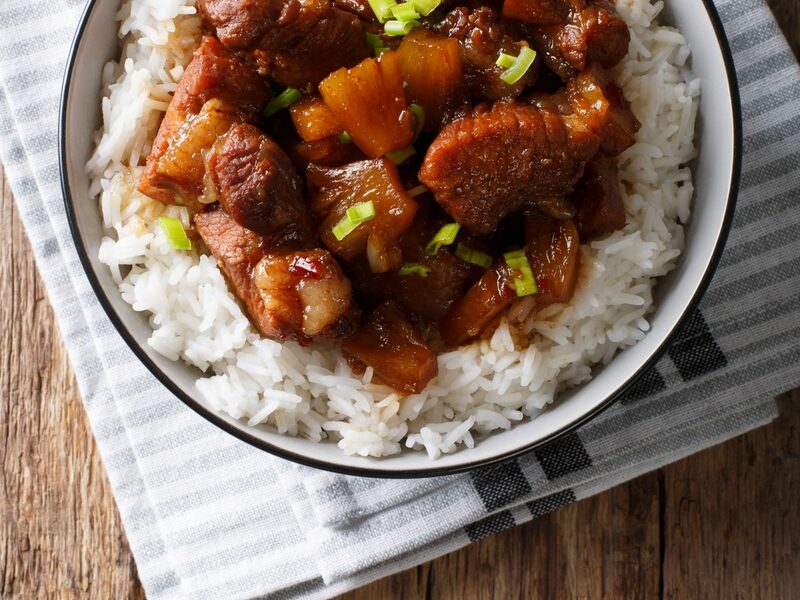 Jordan uses sophisticated techniques for humble dishes like chitlins (pig intestines served in pork stock over rice), gumbo, and fried pig’s ears. 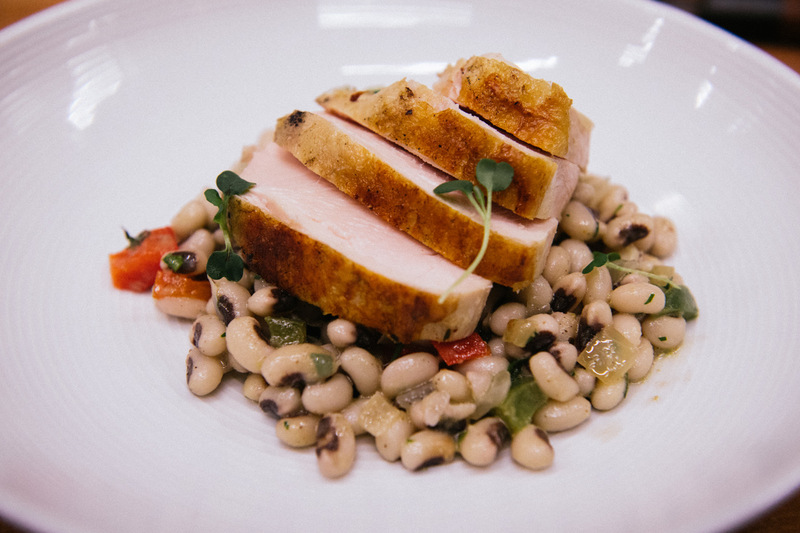 If there’s a tastier way to embrace the South's culinary heritage, we’re not sure what it is. 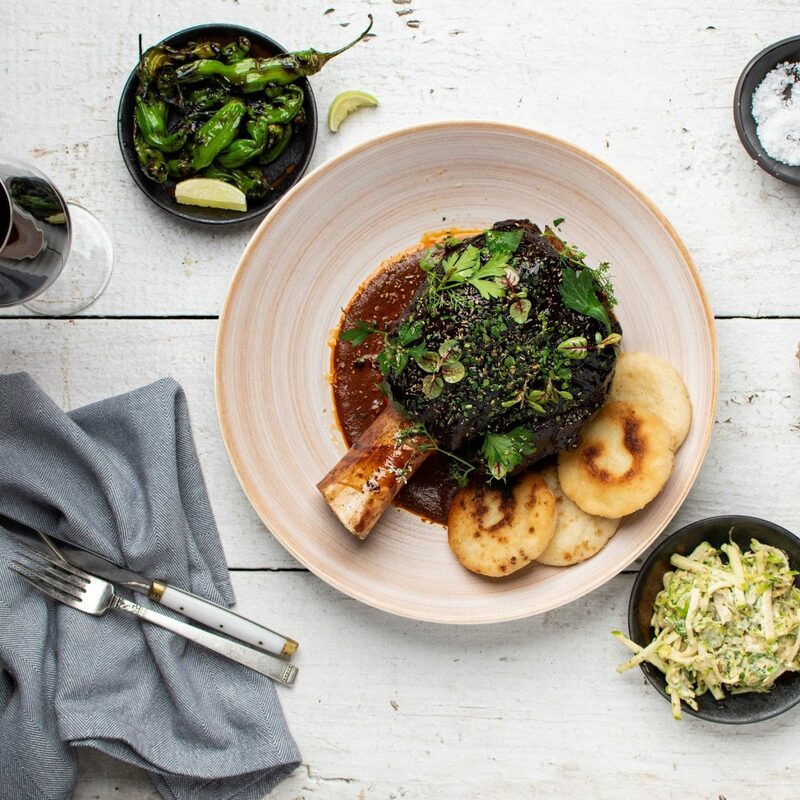 One of Mexico City’s hottest new restaurants isn’t a proper restaurant at all. 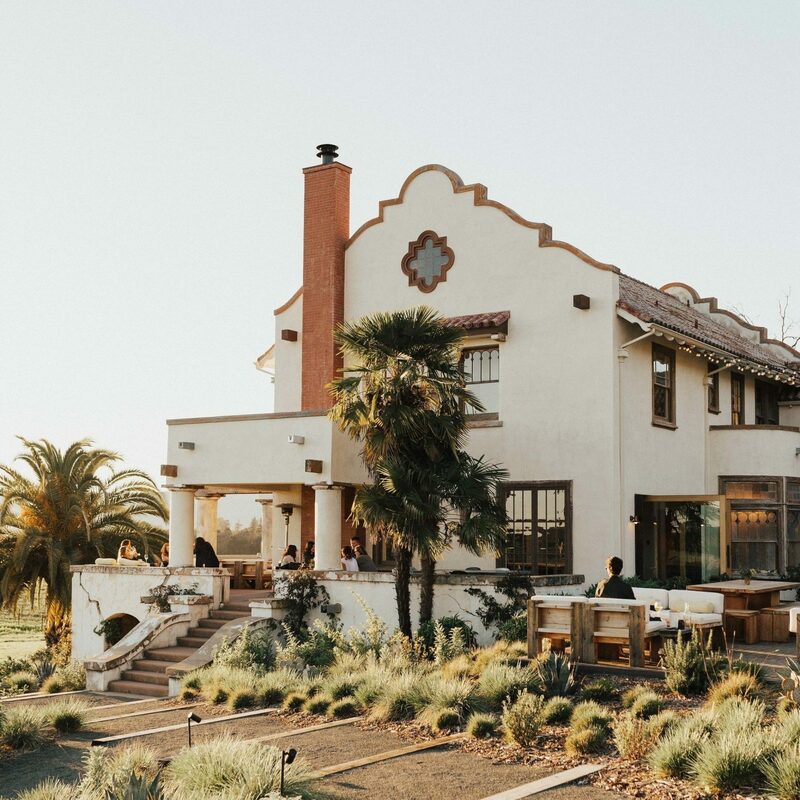 It’s Enrique Olvera’s tortilleria—the place where the corn tortillas served at Pujol are produced. It serves a small menu of snacks like tacos, masa tamales filled with poblano pepper rajas and raisins, and a sublime version of elote, corn on the cob dressed with coffee, chili, and chicatana ants. 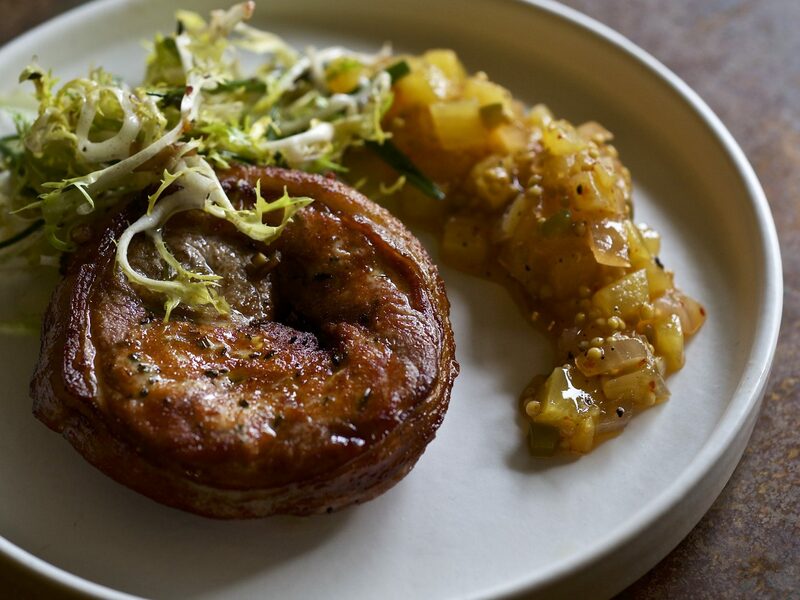 Unlike at Pujol, you don’t need a reservation to eat here. 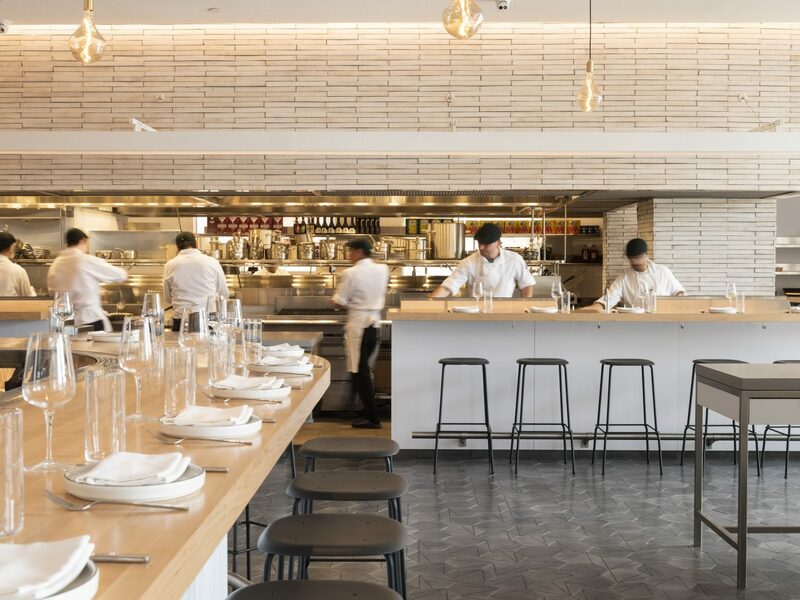 And though details are still under wraps, Enrique Olvera is also planning to open a new restaurant in Los Angeles this year. 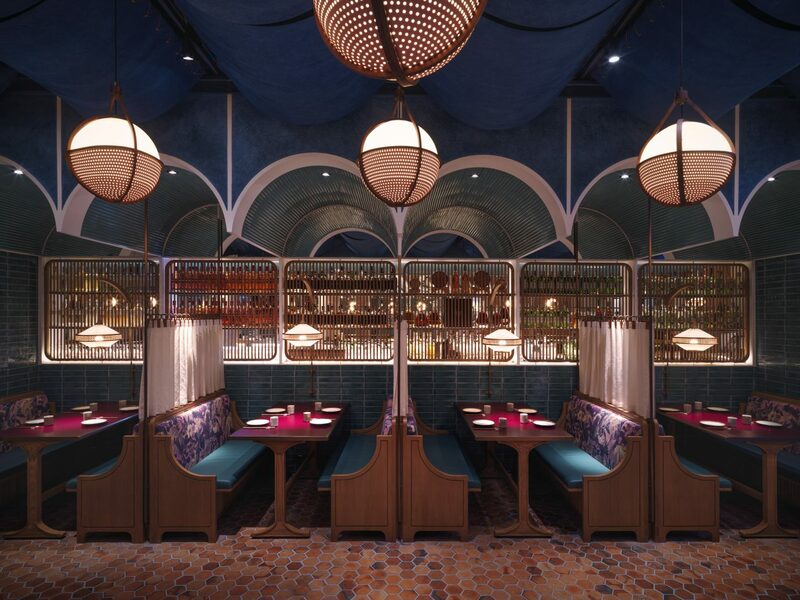 English tearoom meets Chinese canteen at John Anthony in Hong Kong, which was named after the first Chinese man to become a British citizen in 1805. 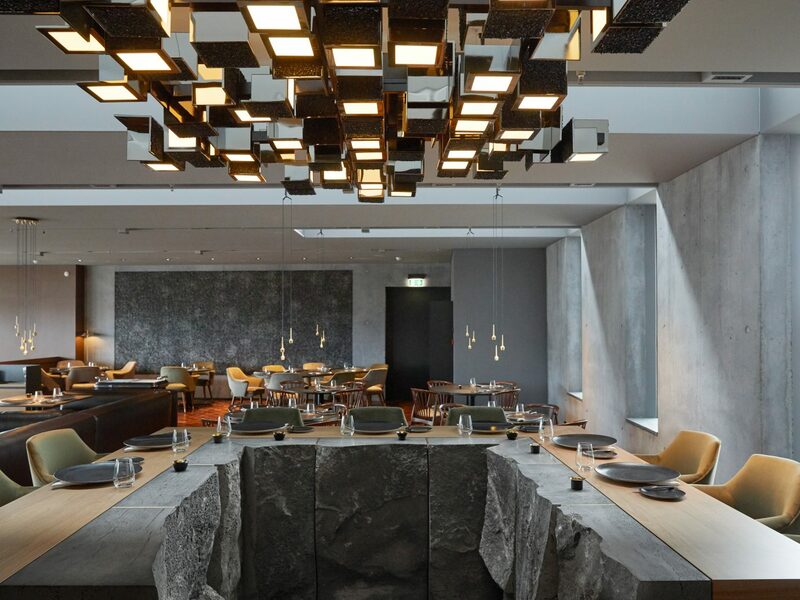 The newest restaurant by Maximal Concepts—the group behind Hong Kong’s beloved Mott 32—this new spot is a stunner with a super-sleek design. 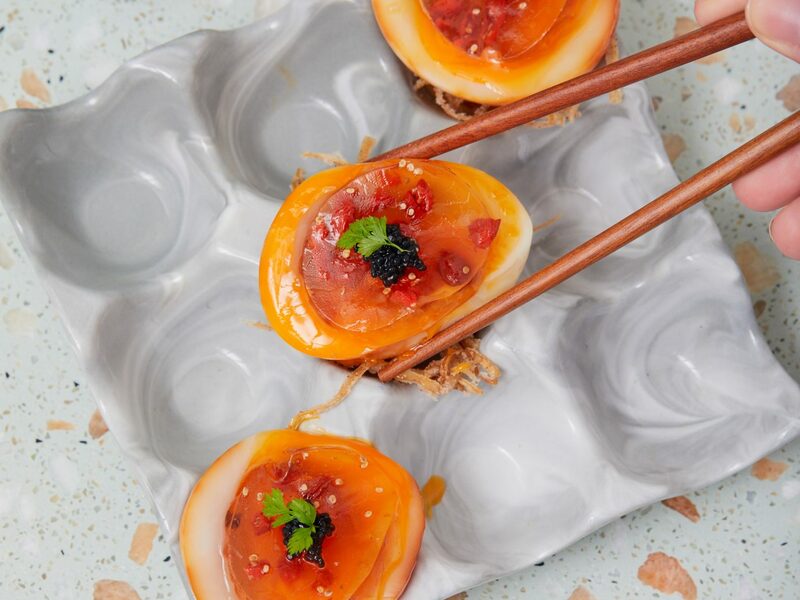 Chef Saito Chu serves creative takes on dim sum, like xiaolongbao dumplings filled with black squid ink, and Cantonese grilled specialties. 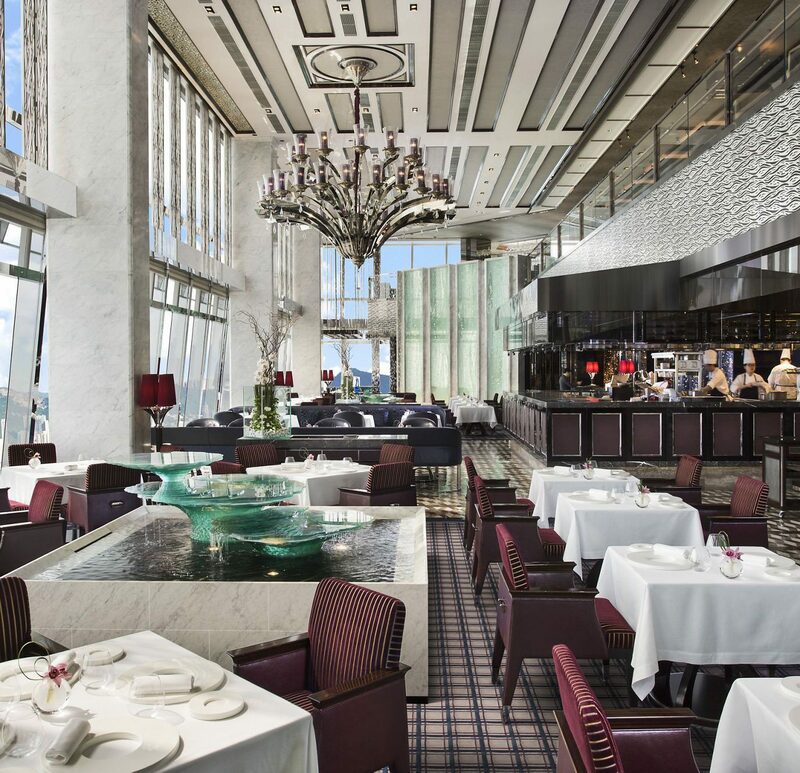 One of three restaurants helmed by celebrity chefs opening this year at the Raffles Singapore, BBR by Alain Ducasse is the French chef’s Singapore debut. 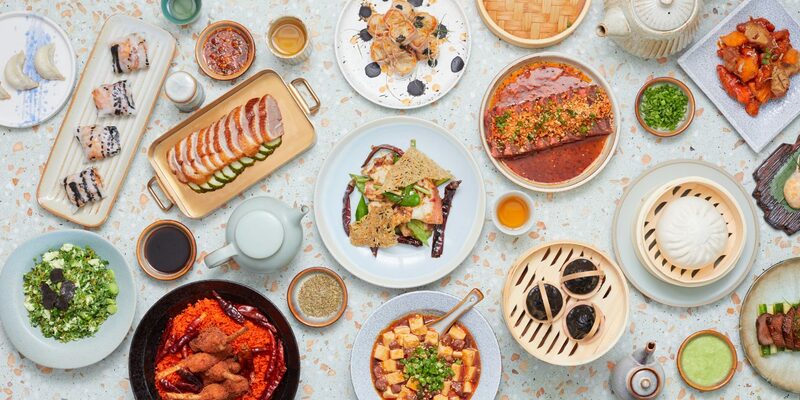 (The others are by three-Michelin-starred French chef Anne-Sophie Pic and master chef Jereme Leung, who’s extremely influential in the contemporary Chinese culinary scene.) 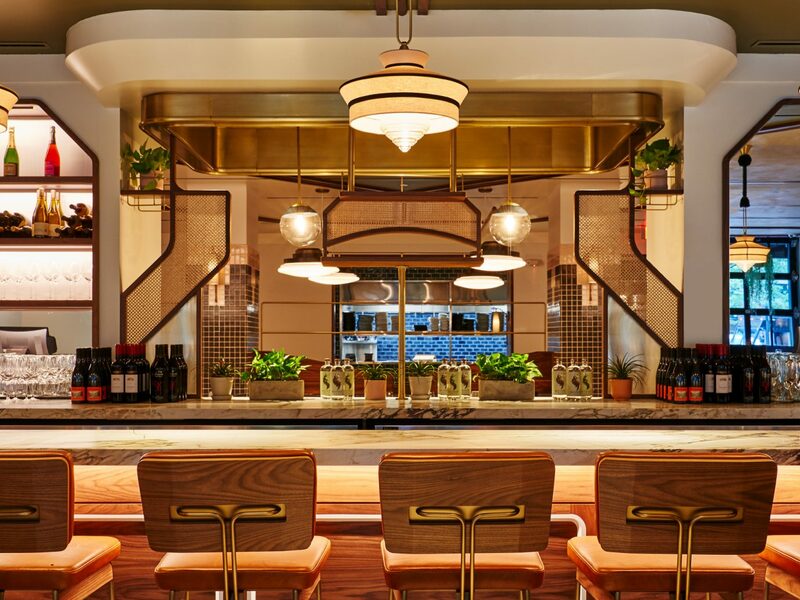 BBR, which stands for Bar & Billiard Room, is also a new concept focused on Mediterranean cuisine, with influences from Italy, Spain, Portugal, and France, of course. 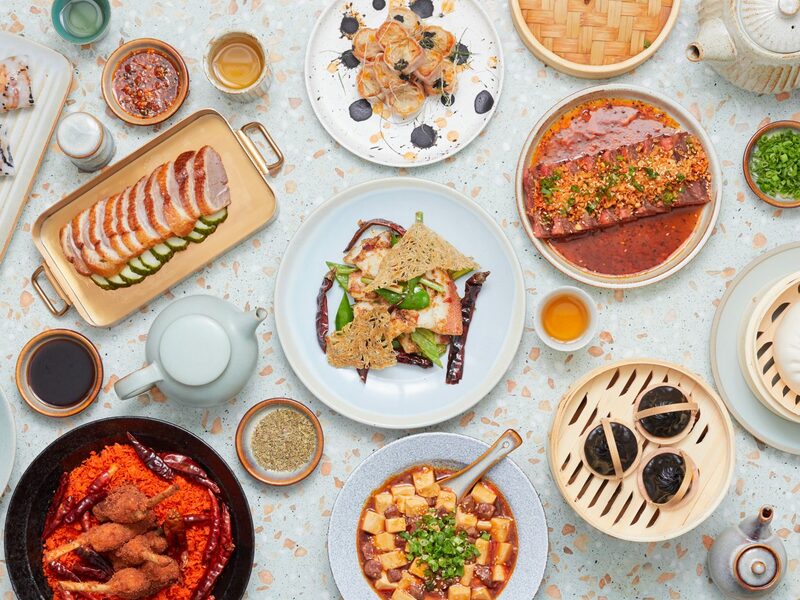 It will also mark the return of the Raffles Singapore’s indulgent Sunday brunch, which has a reputation as the best in the city. 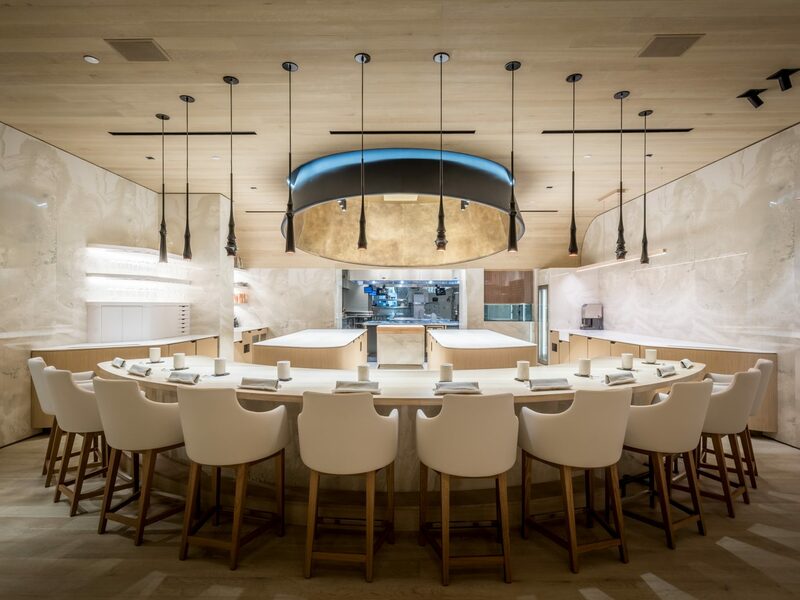 Jean-Georges Vongerichten may be opening at the Four Seasons Philadelphia at the Comcast Center, but we’re most excited about the hotel’s other restaurant. 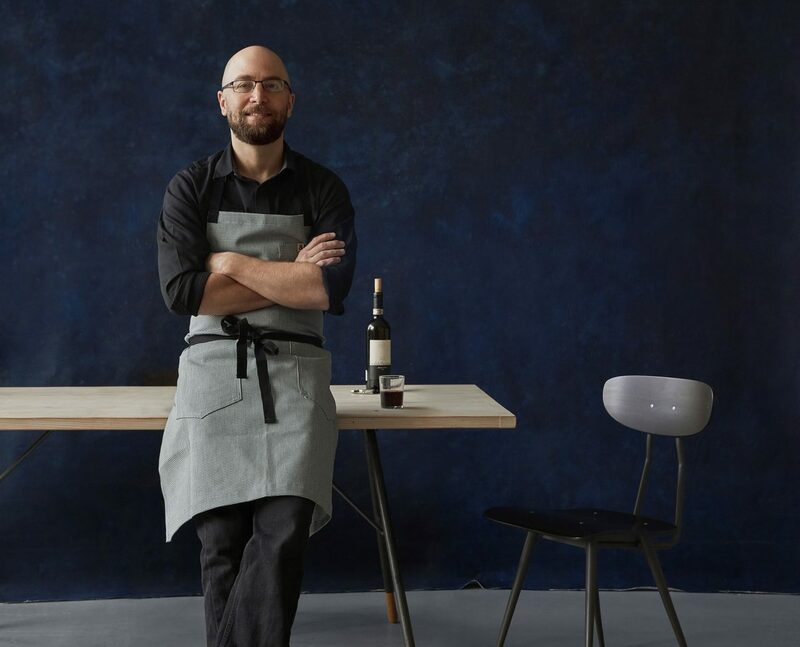 Vernick Fish will be the third restaurant by local chef Greg Vernick, who took home a James Beard Award as the best chef in the mid-Atlantic region in 2017 for his beloved spot Vernick Food & Drink. 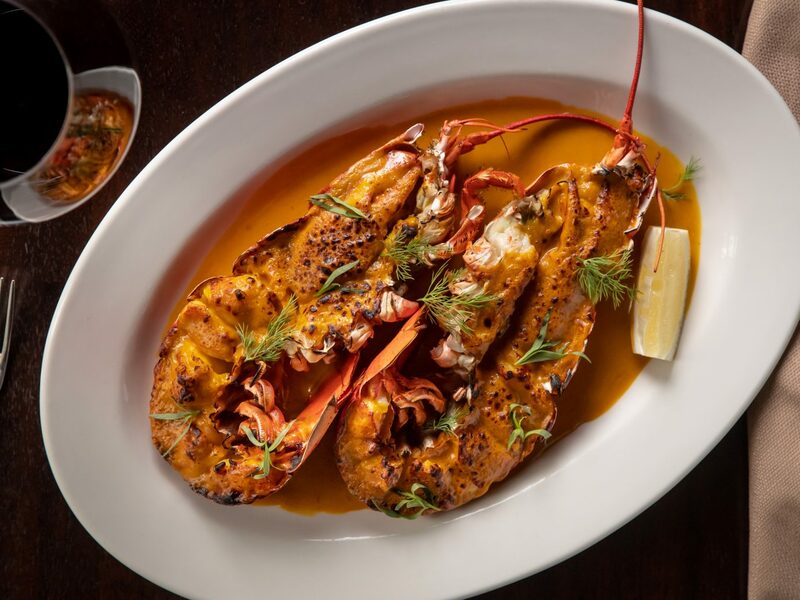 His new seafood-focused restaurant will accommodate 200 diners on the ground floor of the Four Seasons and will serve raw and cooked preparations of fish and shellfish with globally-influenced flavors. 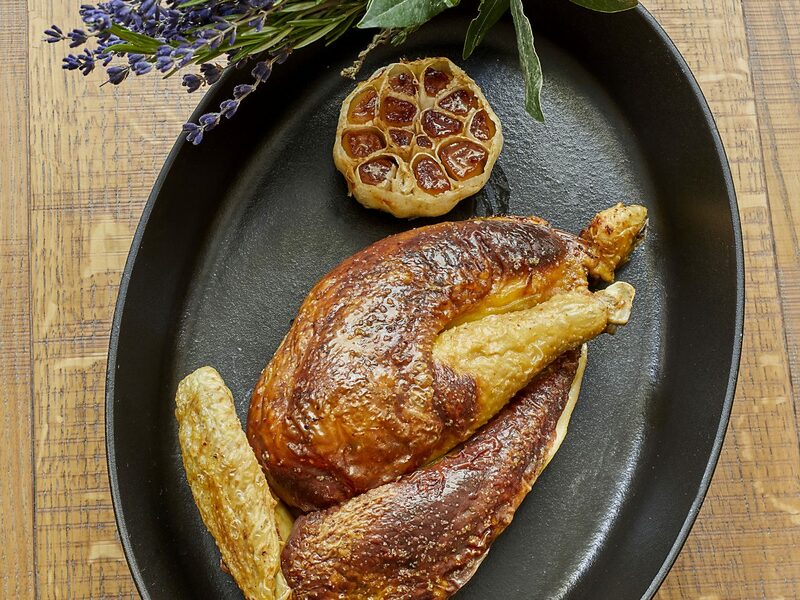 Slated to open in March, this 35,000 square foot Spanish food hall in the soon-to-open Hudson Yards complex is one of the city’s most highly anticipated places to eat. 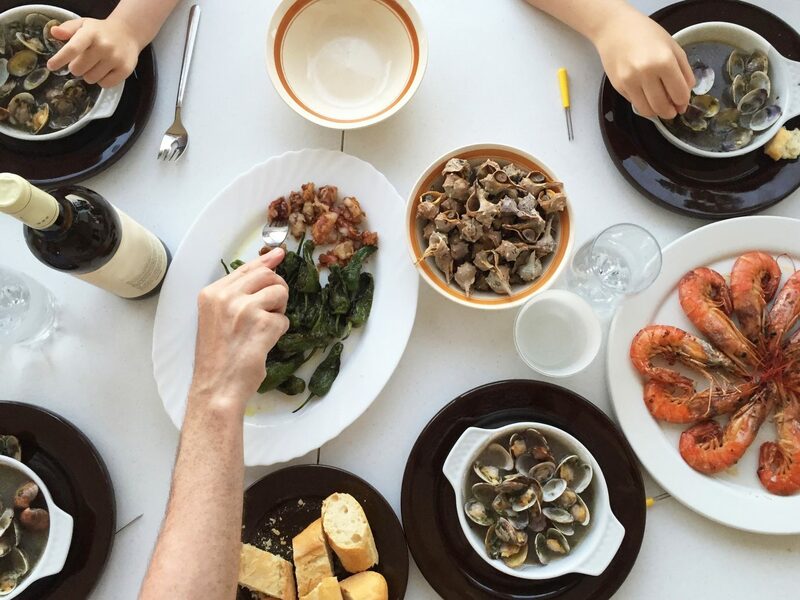 José Andrés teamed up with legendary Spanish chefs Ferran and Albert Adrià (of the groundbreaking restaurant elBulli, now closed) to create a destination that will do for Spanish cuisine what Eataly did for Italian food. 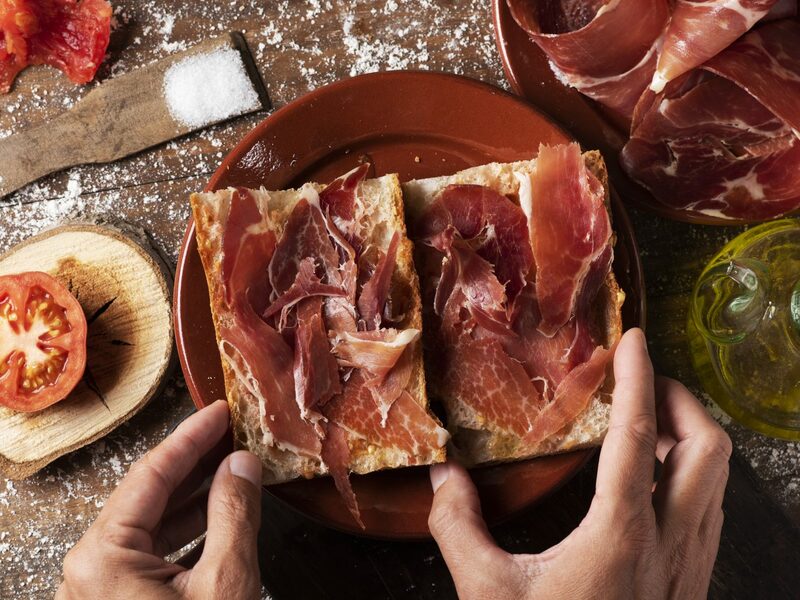 In addition to a market, the all-day destination will have three full-service restaurants and individual stalls serving tapas, Basque pintxos, seafood, sandwiches, churros, and more.